Hear All Sounds - Without two working ears, your brain has difficulty working out the precise origin of sounds. This means that it can be difficult to locate sounds. Imagine having to cross a busy street uncertain about which direction traffic is coming from. Because it picks up sounds on your deaf side, WIDEX CROS helps you hear all the sounds around you. That means that you can hear sounds from your deaf side without turning your head. 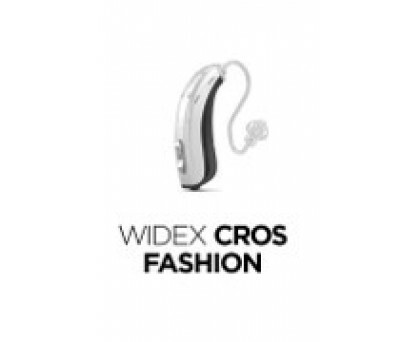 Improved Listening - Listening to and participating in conversations is also made a lot easier with WIDEX CROS. If you are talking to friends in a restaurant or at a party for instance, you can enjoy, follow and participate in the conversation - regardless of on which side of you the speaker is located. Designed to your specific needs - For your better ear, you can choose from a range of models from our popular DREAM family. The combination of WIDEX CROS and the absolute latest in hearing aid technology gives you superb sound quality. And with Widex' wireless technology you will not experience any echoes or distortion when WIDEX CROS is active. Outstanding battery life - Due to Widex advanced battery saving technology we use three times less power than other wireless CROS solutions. 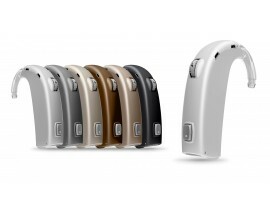 Phonak CROS II – The solution for single-sided deafness.